I had a very common dilemma today when wandering around town… where to have lunch?? J and I were both in the mood for a sandwich, but we couldn’t decide where to have it as there are so many great places! 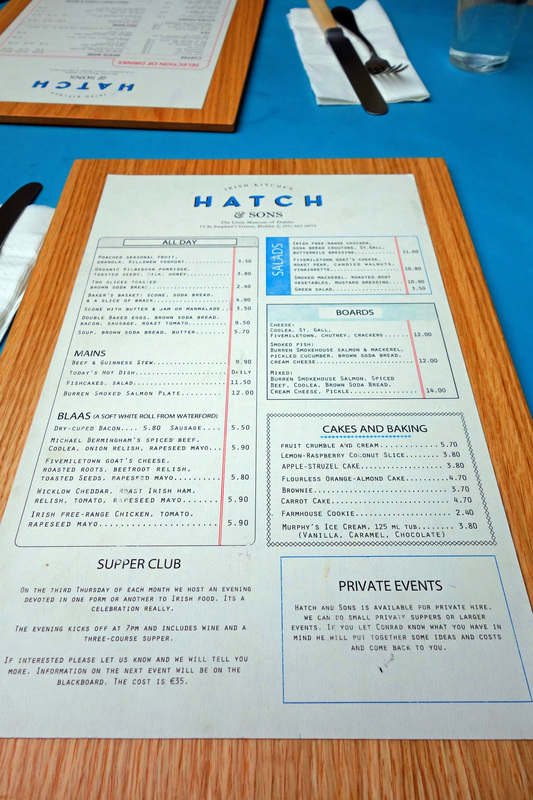 Luckily we happened to walk past Hatch & Sons and I had remembered reading a blog about what a lovely lunch spot it was. 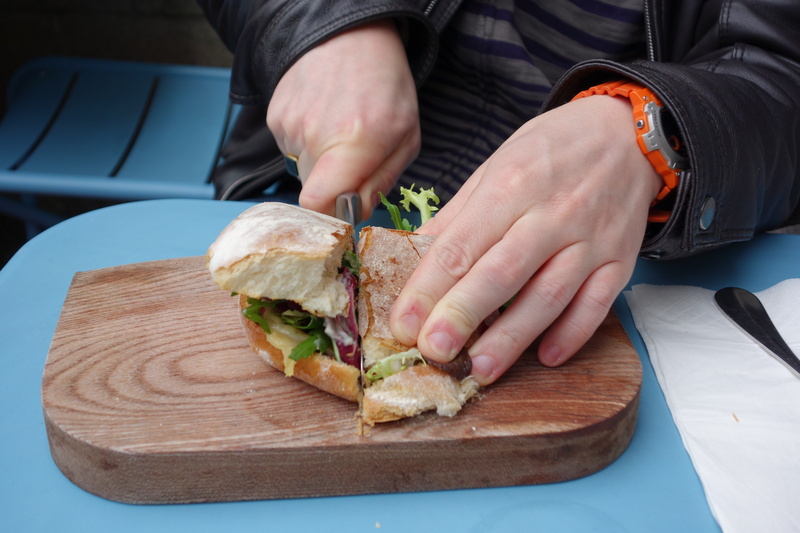 After I checked out the menu I remembered why it had stuck in my head… it was the Blaas!! I had been wanting to try these ‘Blaas’ for ages! 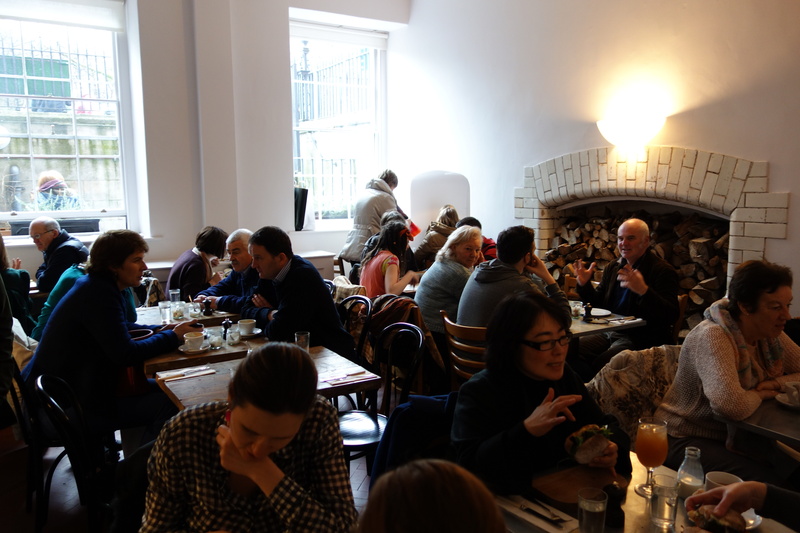 So that made the decision for us and we sat at one of their outside tables in the courtyard overlooking St. Stephen’s Green. 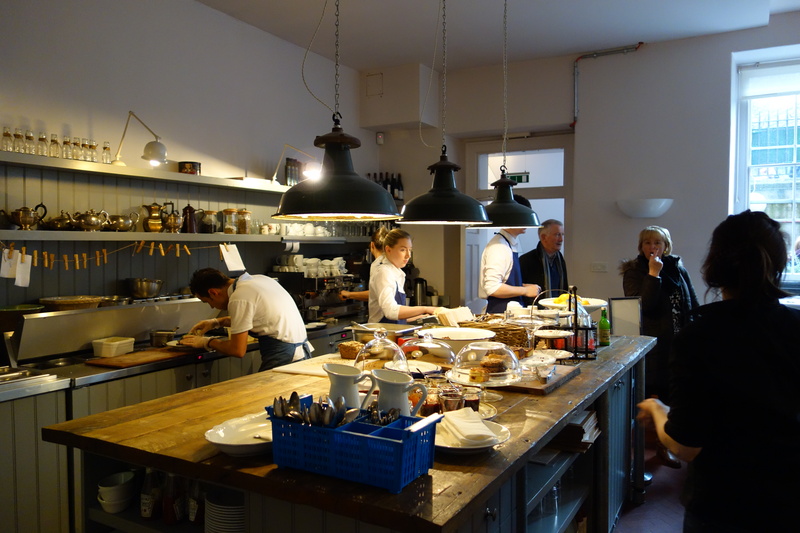 Hatch and Sons have five different blaas on the menu and they all sounded delicious. Where blaas are different from a regular sandwich is they are made on a soft white roll from Waterford called a Blaa, they have a crunchy exterior and are square in shape with a light dusting of flour on top. J went for the Michael Bermingham’s Spiced Beef, Coolea, Onion Relish & Rapeseed Mayo Blaa and I had the Wicklow Cheddar, Roast Irish Ham, Relish, Tomatoe & Rapeseed Mayo Blaa. To wash it down we shared a Earl Grey Iced Tea. 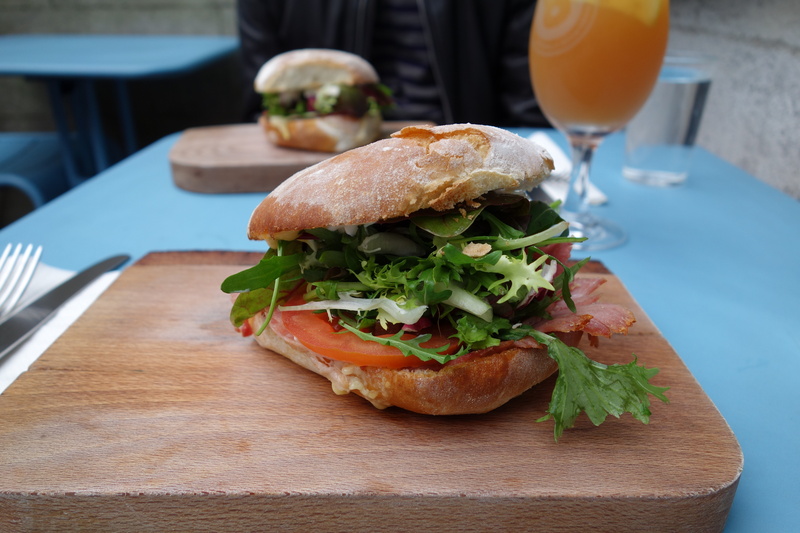 Both Blaas were seriously delicious, the blaa itself was the perfect sandwich filler holder, its crusty shell was so yummy and the rest of it had a slight chewy texture. But I have to give it to Hatch & Sons as the quality of their ingredients was outstanding which meant that the flavours in the little blaa packed a serious punch! 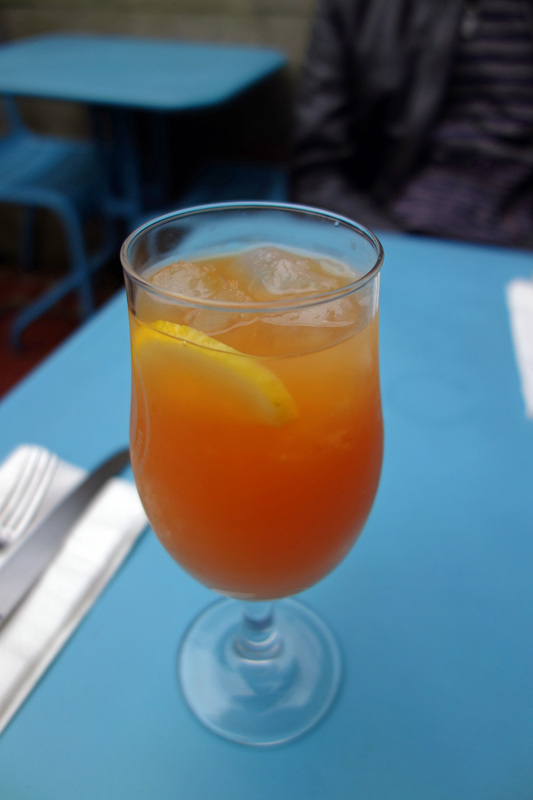 The Earl Grey Iced tea was the perfect palate cleanser and I will definitely be back to try the other Blaas!! Especially as it was good value at between €5.50-5.90 per Blaa, which for lunch in Dublin is cheaper than many places of lesser quality! Address: 15 St. Stephen’s Green, Dublin 2.